Dray Clark has details on a family tragedy in New Jersey. 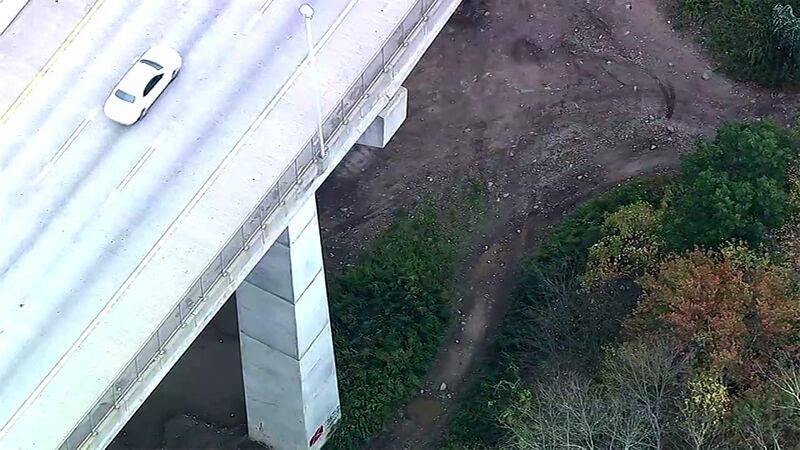 WANAQUE, New Jersey -- Police say it's miraculous how two young boys survived a 100-foot fall off a bridge after their father took them over the side in an attempted murder-suicide in New Jersey Monday night. The father, identified as John Spincken, 37, of Pequannock, died after plunging off the Wanaque Bridge on I-287. But his 1-and 3-year-old sons somehow lived. "When the officers found the children -- conscious and alert -- it's nothing short of a miracle, that's for sure," said Captain Christopher Depuyt with the Pequannock Police Department. Both suffered concussions and one has a bruised lung -- but they're expected to be OK.
"It's only fair to assume that from where his vehicle was positioned on the shoulder that he must have climbed on top of the vehicle to surmount the fence," Captain Depuyt said. Police said that at 6:55 p.m., they were called to a home on Greenview Drive in Pequannock, New Jersey. The mother of the two boys said that she and Spincken were arguing and he told her that he was going to harm the children. Wanaque Police officers found Spincken and his two children in a wooded area near the Wanaque River. Spincken was pronounced dead at the scene around 9 p.m.